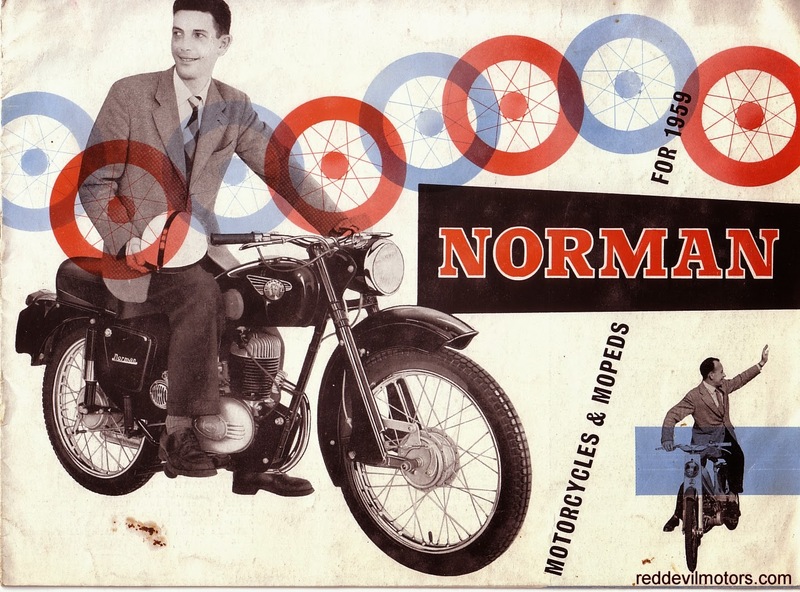 The Norman Motorycles and Mopeds full range brochure for 1959. 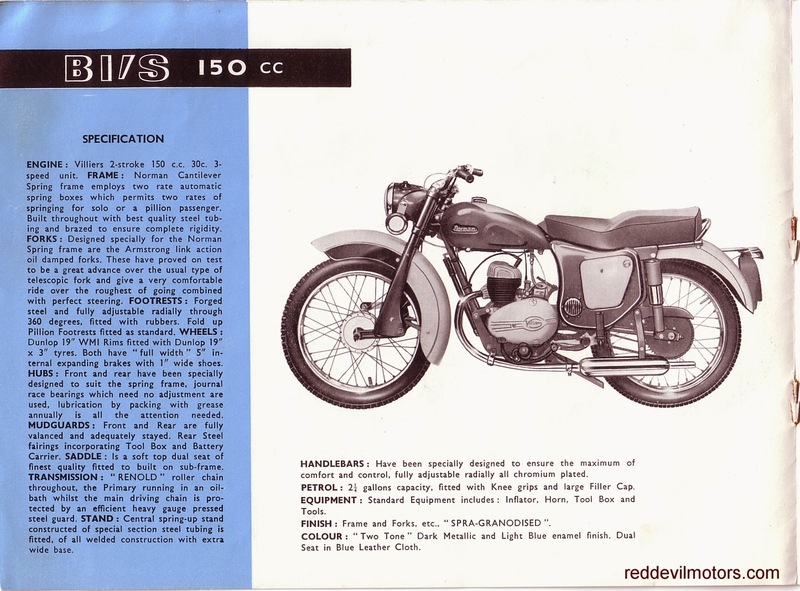 Norman brochure 1959 page 1. 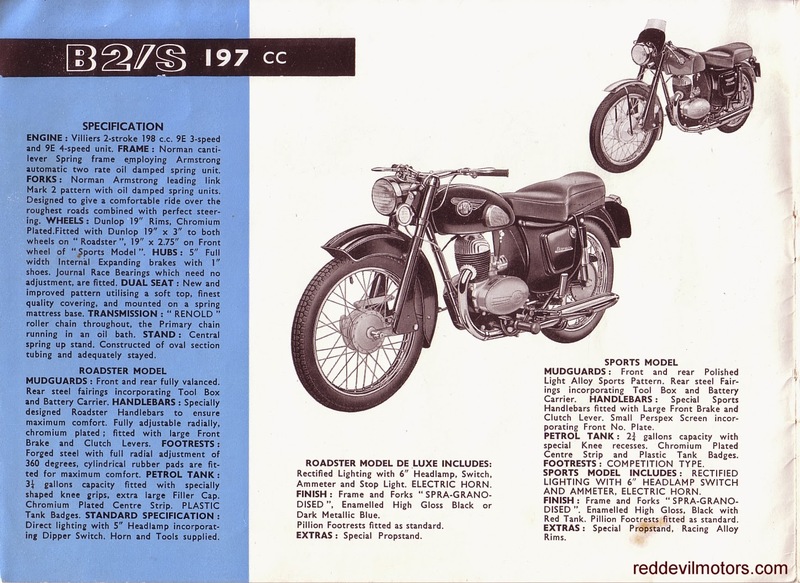 Norman brochure 1959 page 2. 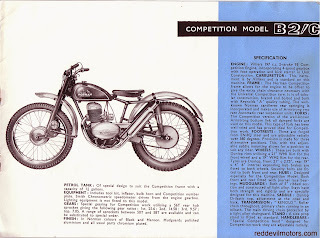 Norman brochure 1959 page 3. 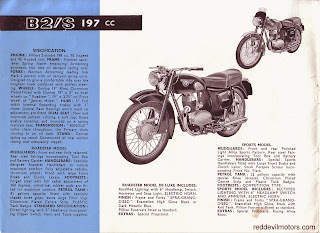 Norman brochure 1959 page 4. 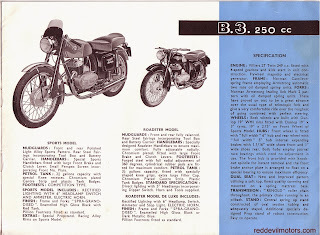 Norman brochure 1959 page 5. 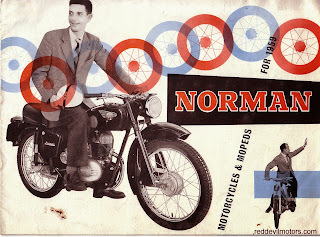 Norman brochure 1959 page 6. 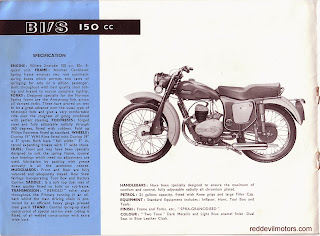 Norman brochure 1959 page 7. Norman brochure 1959 page 8. 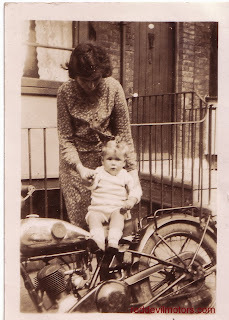 A couple of nice family snaps of a Raleigh. 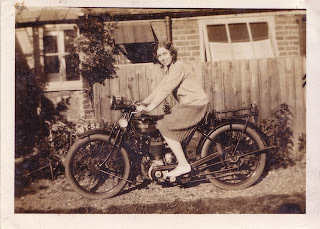 I'm fairly sure it is the 1931 300cc side valve MO31 model as I owned one for a little while. A really nice bike and a decent performer. Only snag for me was its diminutive size. 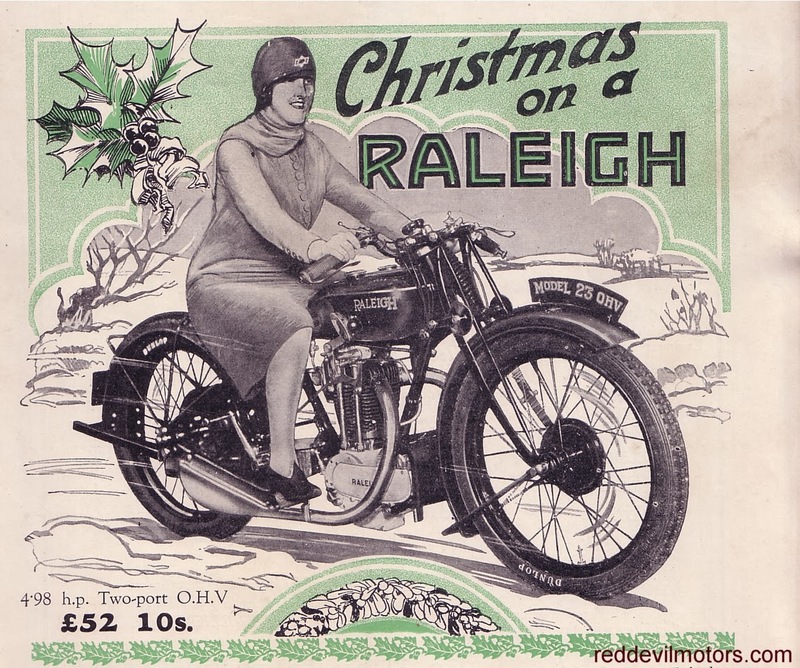 A very Merry Christmas and best wishes for the New Year to all! 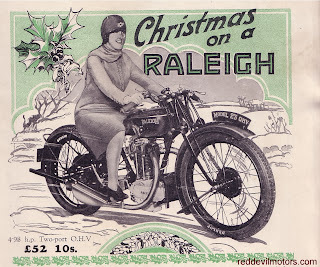 Raleigh ad clipped from a Christmas 1927 magazine. Got a chance to have a nose at a good friend's new wheels last weekend and have a spin too. The '59 A10 was bought by Matt recently, the sidecar frame separately a while earlier and the body somewhere between the two. 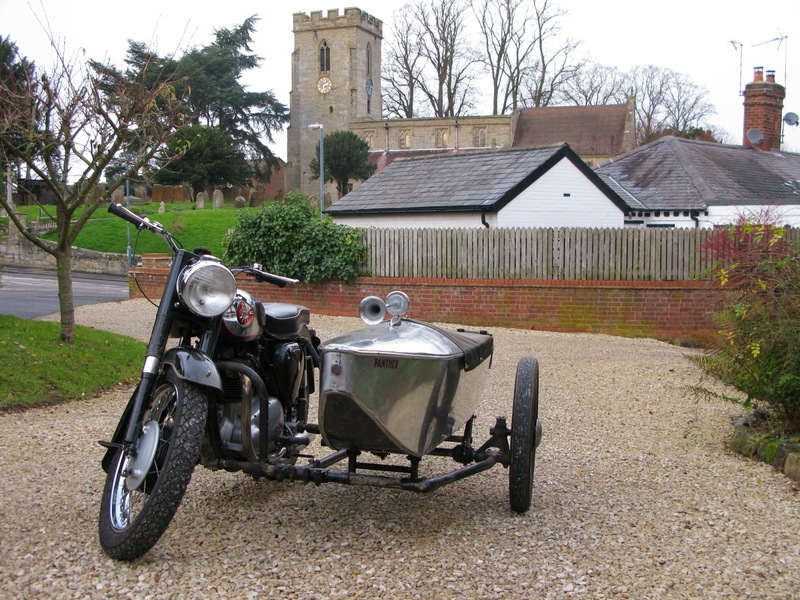 The sidecar frame is a Swallow, one of the infamous 'wobble wheel' models. The suspension is a short swinging arm controlled by rubber in torsion but the pivot point is directly beneath the axle meaning that there is no vertical movement. just a wobble in a short arc. 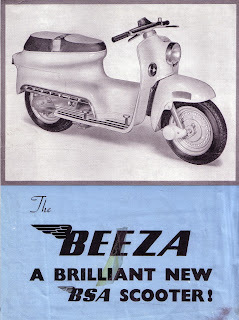 Sounds awful, but combined with the rubber springing on the sidecar body combines to give a decent ride. 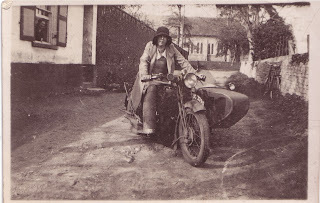 The sidecar body is an unknown, it had been fitted to a Panther and looks to be very thirties in style. It's light and looks classy so fits the bill. The mudguard is currently in for repair. 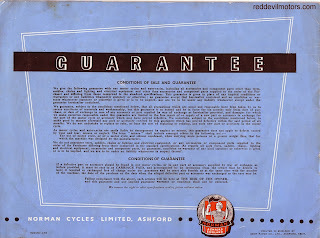 I've been lucky enough to have owned a pretty broad range of bikes in my life so far and ridden a fair few more. The A10 is a staple of the classic movement and held up as a best of British design. I've got joint ownership of a Road Rocket in pieces but so far taking one out on the road is a pleasure that's eluded me. Having had a go I can see what makes folks so enthusiastic about them. 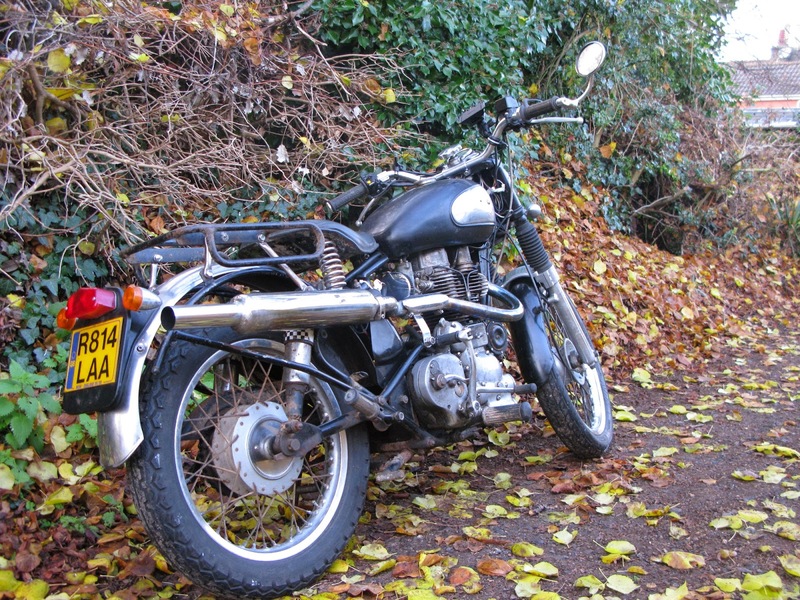 Easy starting, smooth power, sweet handling, quiet running and all in a characterful package. It's a really excellent bike. 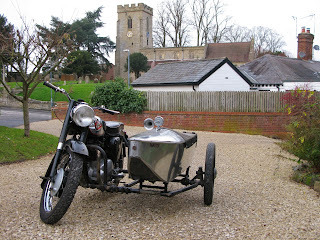 Power is plentiful for a lightweight sidecar with 60mph cruising easy and getting there swift. Thanks Matt and family for the hospitality and joyride. A10 Golden Flash / Swallow combination. Mix of periods between bike and chair but they go together nicely. Here's a lovely snippet from the past. 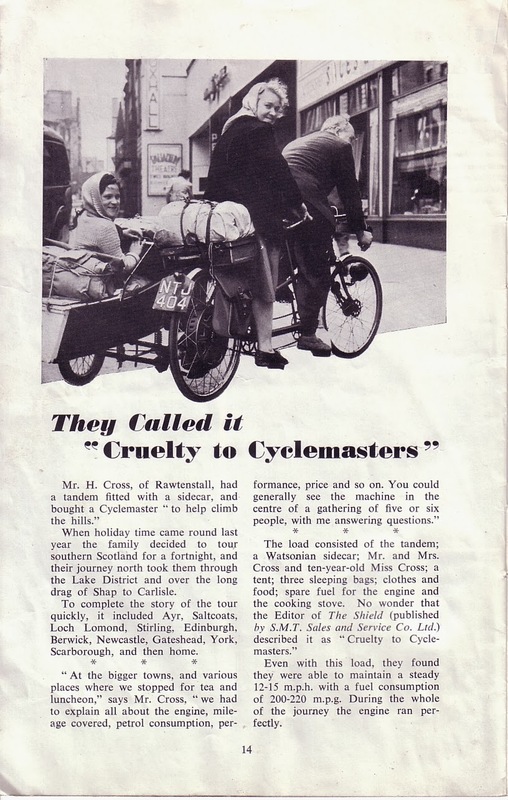 'The Magic Wheel' Cyclemaster promotional magazine. 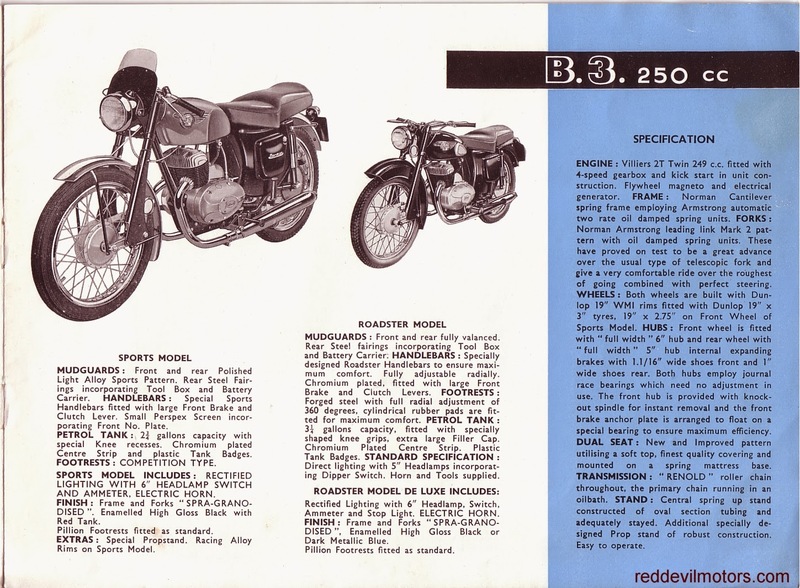 This is number 2, volume 1 from July 1953. The cover photo is in Singapore with St Andrews Church in the background and the lady is apparently Burmese. 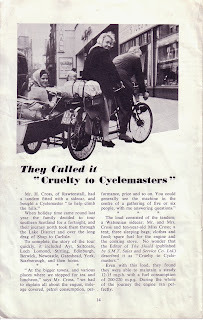 I've scanned one article for interest, not much point scanning more as this whole issue and several more are available at the Cyclemaster Online Museum. The Magic Wheel magazine cover. Yes, and most would agree! 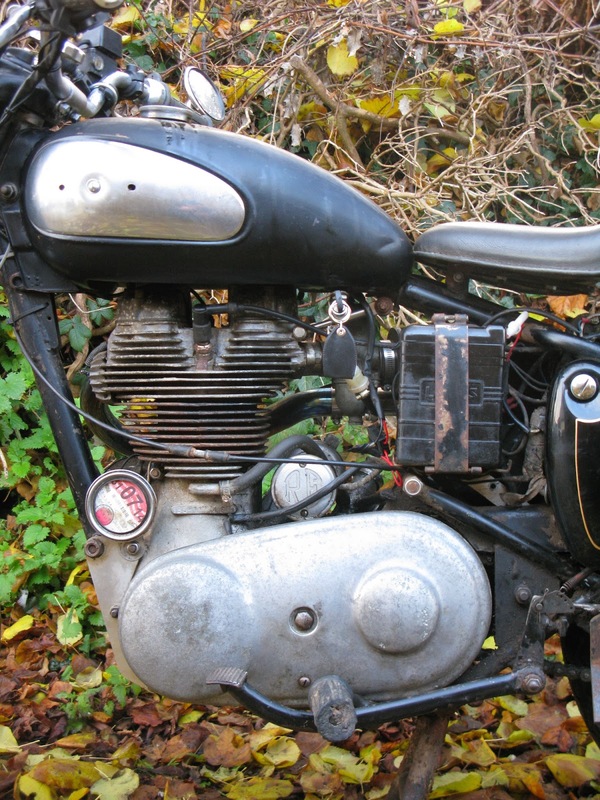 The poor old Bullet hasn't been used since being detached from the sidecar last summer. Seemed like it was time to get back on the road again. Haven't got much use for the old girl these days as current work doesn't involve a commute, spare time is at a premium and other bikes vie for attention. Funny how you get attached to a bike, logically this one should be moved on to a new owner but after fifteen years together we've been around India, overlanded home from India, down to the Sahara in Morocco and entered long distance trials. Would seem somehow disrespectful to cast her aside after all this time. A bit of a 'Triggers broom' bike now with many of the major parts having been replaced. Putting her back on the road there's been a few more 'improvements'. A new toolbox as the old was rotted and hacked around, I couldn't find a lock mechanism in the spares box (or rather I could but couldn't find a key...) so bought a bolt replacement for the lock from Mr Hitchcock. It's a nice part, well made, a bit fiddly to fit but that is more down to the flexible tolerances on the Bullet as the quality of the new part. 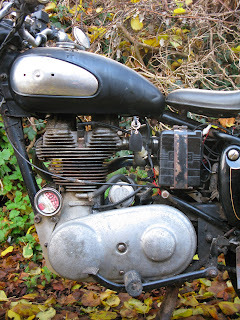 A Redditch Bullet alternator primary case has gone on. Looks a lot nicer in my view than the Indian one. The fork brace also went back on, not sure if it making much difference to handling as the frame isn't really much taxed by the power output. It was sitting on the shelf unloved and unused though so made sense to put it to use. So, here she is, running nicely, imho looking great if in need of a bit of a cosmetic uplift and ready for a season of rallying. burns legs and luggage in equal measures. Redditch primary cover fits straight on. Spot the new tool box screw fellow anoraks! Easy to recognise the marque (the transfer on the tank gives it away!) 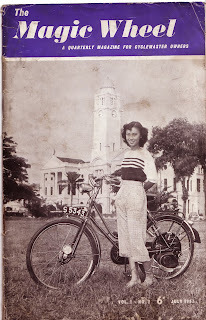 but I am not sure of the year or model. 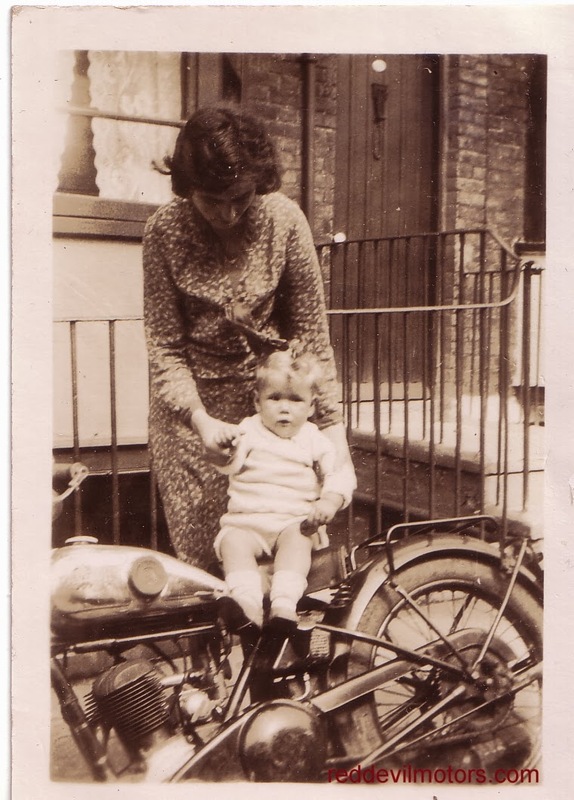 Round about 1925 I would say. 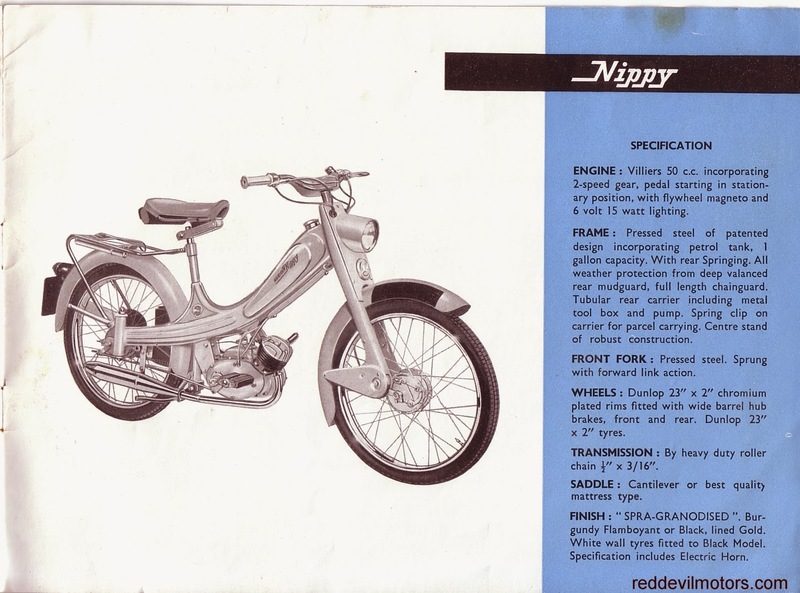 It could well be a TT Sports model. 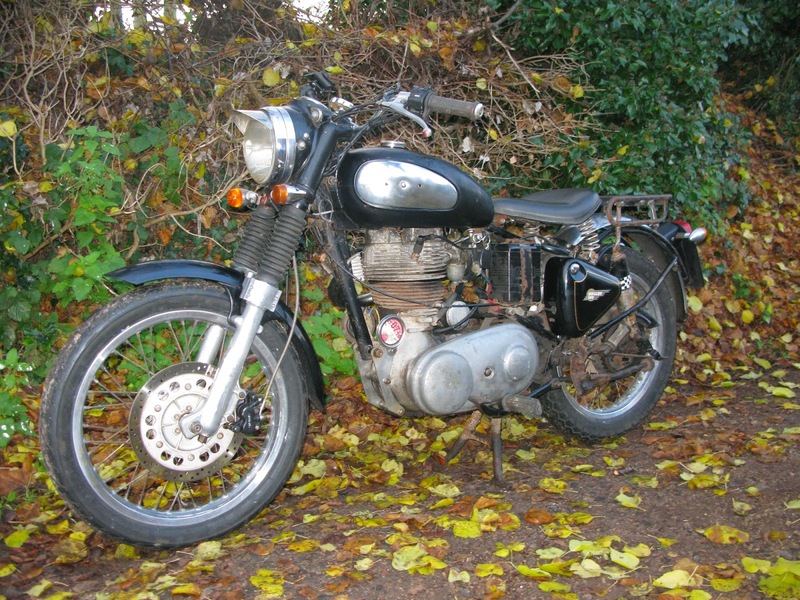 Problem is bikes are harder to identify from the nearside as most catalogue pictures are from the offside. 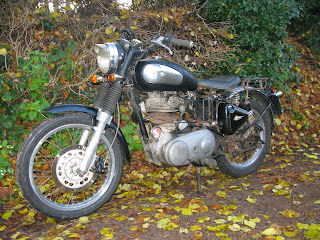 They generally look better when you can see the timing cover and exhaust, most primary drives are a bit less attractive. Folks don't care about that in family snaps. Nice picture none-the-less of machine and belle. Mide twenties New Hudson side valve. I really can't work out what this machine is. 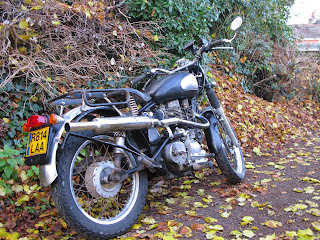 Certainly late twenties, the tank looks a bit like a Triumph but the forks and front brake don't seem to match. Has anyone out there got any ideas? 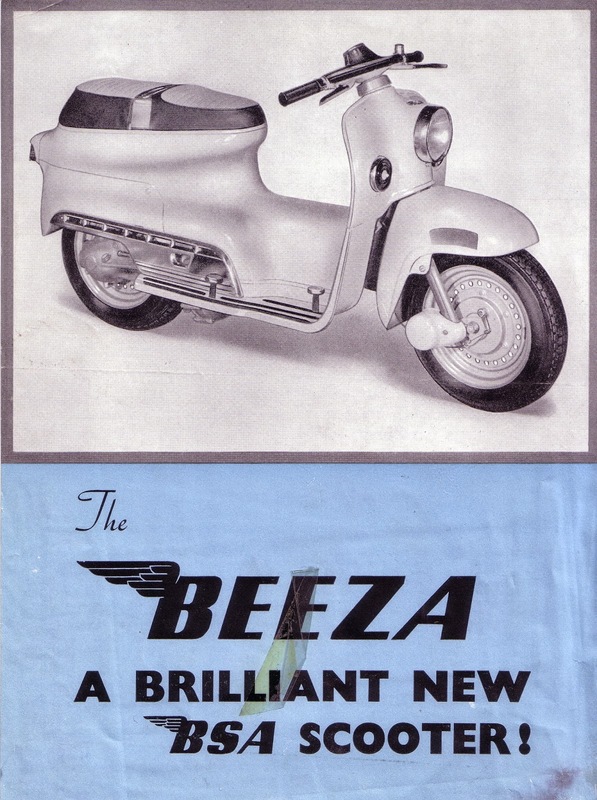 A brochure for the 1955 BSA Beeza scooter. 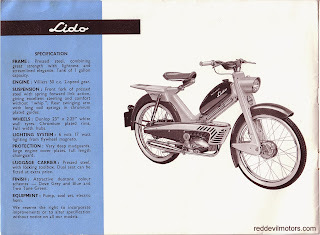 The model never made it into production but got far enough for working prototypes to be made, an unveiling at the Earls Court Show and brochures to be distributed. 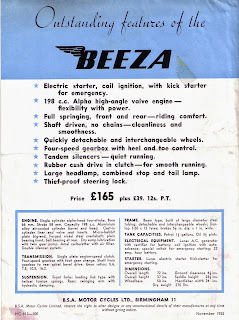 1955 BSA Beeza scooter brochure page 1. 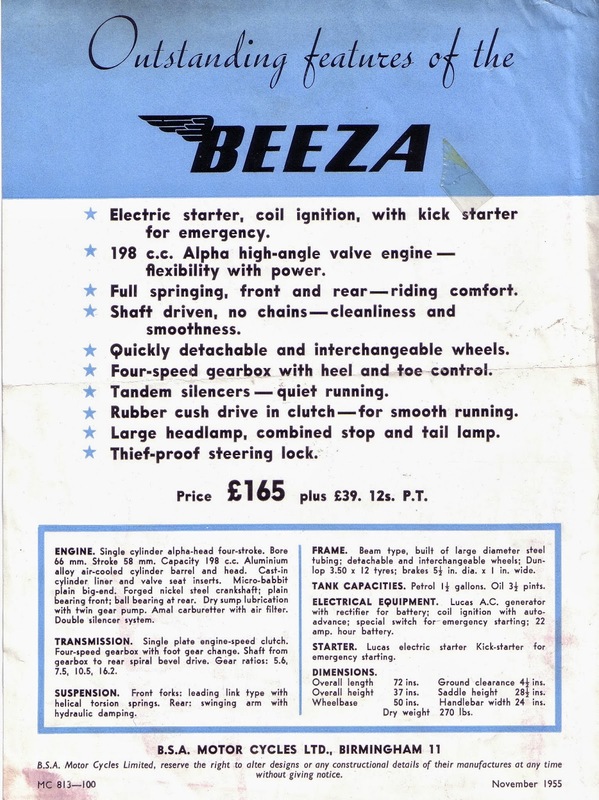 1955 BSA Beeza scooter brochure page 2. 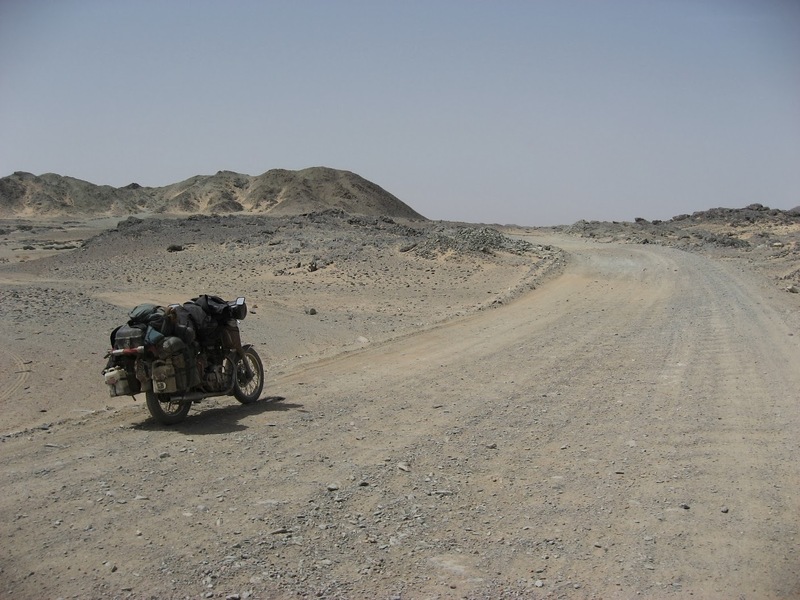 1955 Royal Enfield Bullet in the Sudanese Sahara. I stumbled upon this book whilst killing some time bumbling around the 'net. It seemed like it might not be in print any more and I saw that there was a copy being offered on Amazon for £80. I'd never come across Lulu press before but I clicked through and discovered a rather wonderful print on demand service. You choose your book, pay for it, they print it out and it is with you about a week later. The Anthology of Motorcycle Travel Literature provided excellent reading matter on a country cottage holiday with no tv and no internet. 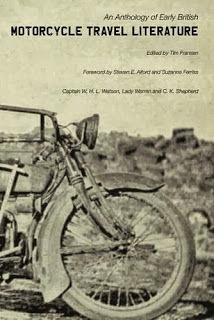 There are three early motorcycle travelogues within the anthology, each of which is virtually unobtainable in original copy (though since first publication there have been a couple of reprints of Adventures of a Despatch Rider). 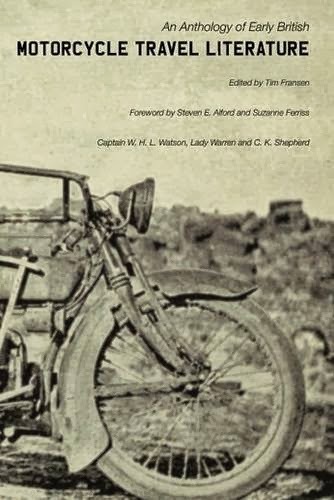 The first reproduced story is that of Captain W H LWatson and his 'Adventures of a Despatch Rider' from 1915. The book tells his story from signing up to battle weary veteran. It's got to be said that it gives the impression that DRs were from the privileged classes. 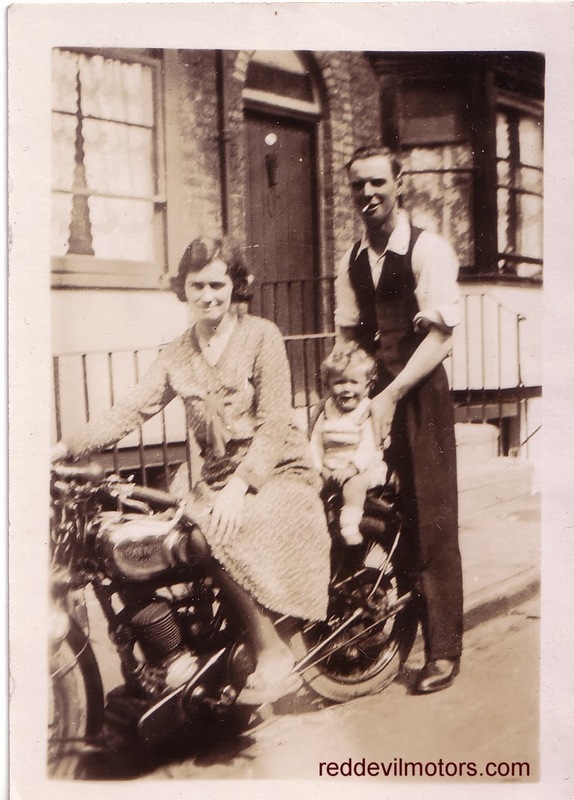 He makes the decision to join up before conscription and decides that despatch riding is a good bet so pops in to a shop and picks up a new bike (a Blackburne which he thoroughly endorses) and rides along to sign up. The picture painted is of educated young men enjoying great adventure, suffering great hardship, displaying heroism and being fortunate enough to be away from frontline combat. It's a fascinating and well written book depicting life in French and Belgian towns and villages as they are thrown into the maelstrom of war. Lady Warren travels as sidecar ballast in a Dunhill sidecar attached to a 1918 Triumph around Algeria and Tunisia. Interestingly she finds many places she goes already touristed, after all, at the time they were French colonies and only a hop across the water from France. 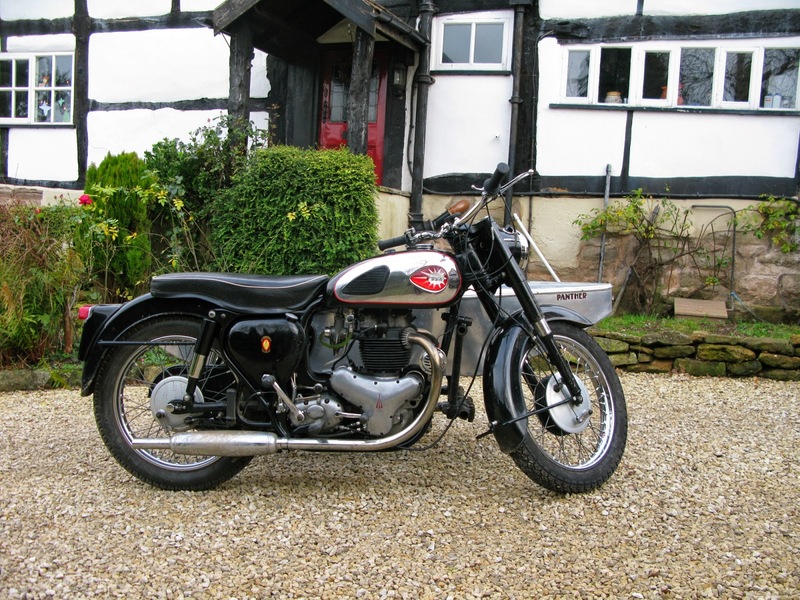 The roads she encounters are in general good repair though not so good that there isn't considerable damage to the Triumph in the course of the journey. Of the three books, Lady Warren's is possibly the most 'of its time'. Her preoccupation with finding a hotel with full bathtub facilities is mildly wearying but her prose and humour keeps you reading on. The last travelogue in the trio is CK Shepherd's 'Across America by Motorcycle'. 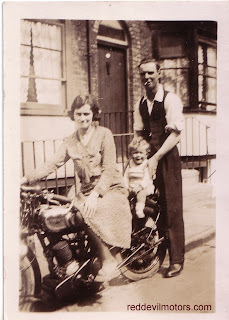 He is a war veteran seeking adventure who travels across to the States in 1919, buys a motorcycle and rides across America. The machine he buys is a Henderson. 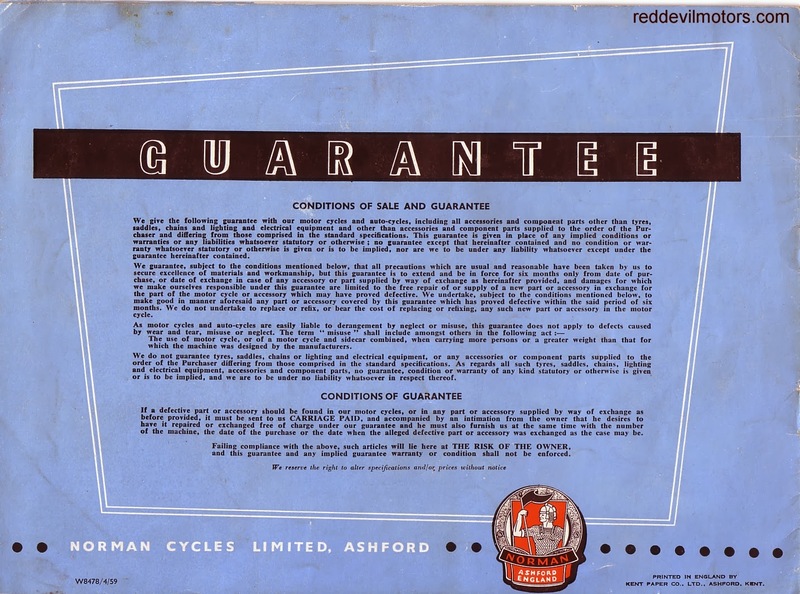 Slightly disappointingly to me, as a Henderson is on the list of dream machines, the bike turns out to be a barrel of woes breaking down on a regular basis and with shyster dealers keen to scam and shrug off warranty claims! Though Shepherd must have been well off he travels on a shoestring and often sleeps at the side of the road. The roads of the day in the States seem to have been truly appalling and the motorcyclist seen as a second class citizen.